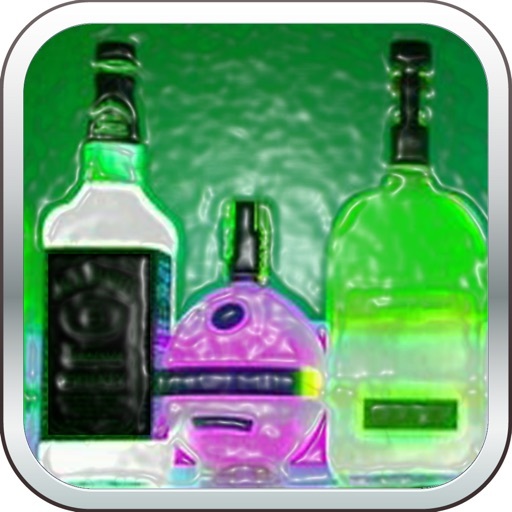 BarStock is an app designed to help bar managers track their inventory. 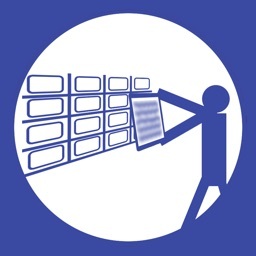 Specificailly, we want to help you track what you have on hand and reconcile your sales and purchases to determine how much product has been lost! Unsure if this app is for you? Try the free, lite version first to evaluate this product before you purchase it. 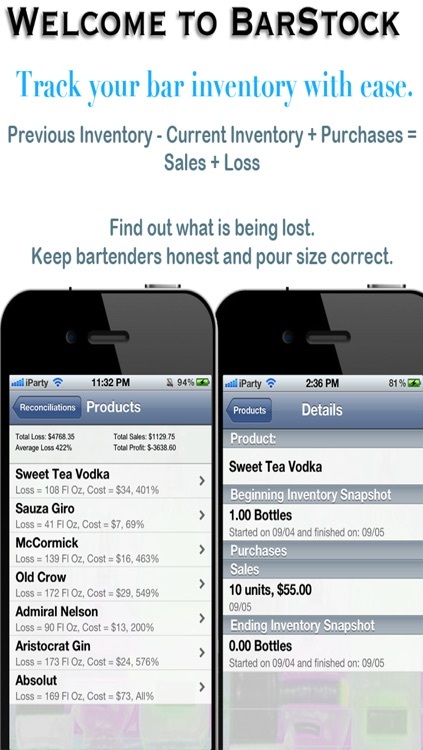 If you are looking for a more generalized app, rather than one specific to bar inventory, see StockLoss. 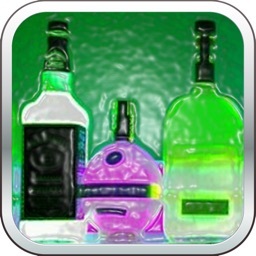 This app is designed for and Bar Owners and the best minds at iParty! 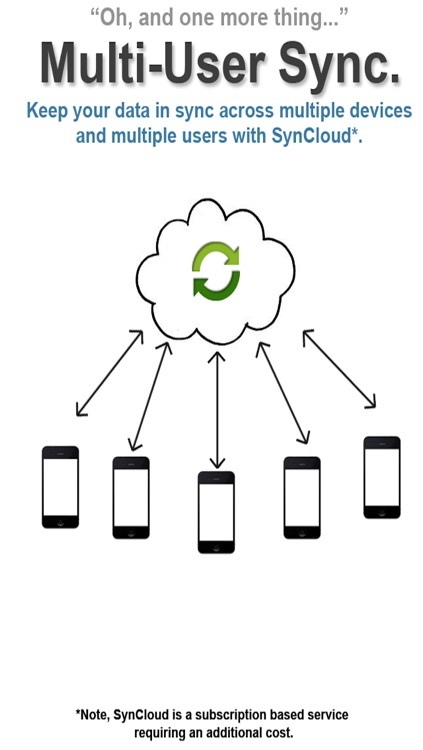 Mobile to create a simple to use, yet POWERFUL tool. You may choose which specific products you carry. The app fully allows you to enter in your kegs and beer bottles as well by using a serving size of 12 ounces and bottle size of Keg. 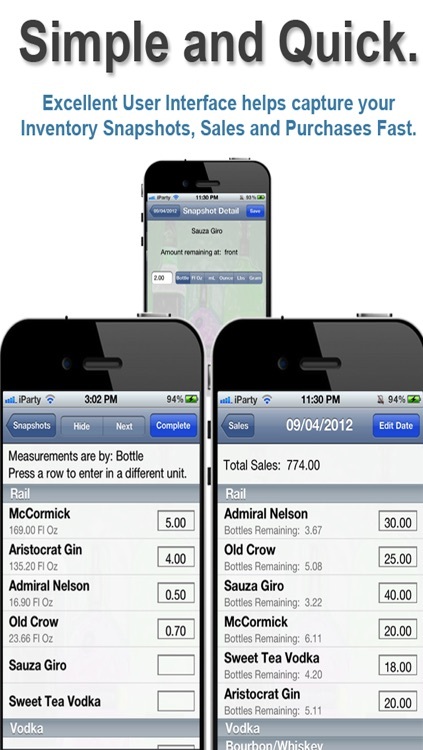 You can even create mixed products so that you can track your sales of shooters. 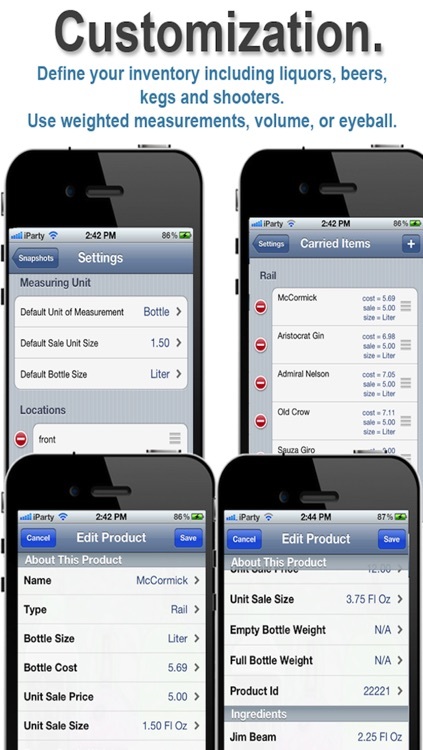 Configure your app's default pour size, 1 fl oz, 1.5 fl oz, ect. Set your measurement method. Do you check your inventory by weight (Gram, Pound), or do you just eyeball the amount left and enter the number of bottles? Once you are all configured, you can take a snapshot of your current inventory. 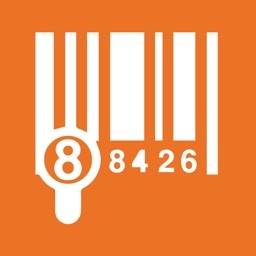 Meaning you go to each stock location and check how much of each product remains to get a complete view of what inventory you have on hand. Through your week, add Purchase orders and sales report data into the app to tell the app what you sold and what product you bought. 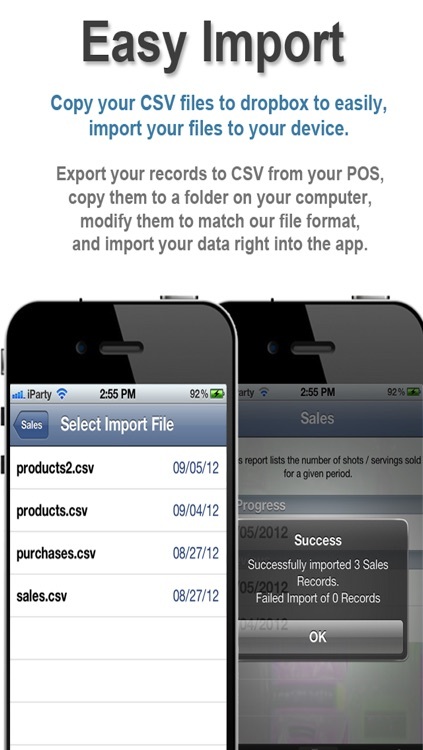 Do all this quickly in the app, or by exporting your reports from your POS, modifying the CSV spreadsheet to match our file format and importing it into the app. After you create a sales report, see how much of each product you have remaining to see what you need to order. Now you may view a reconciliation report. This will tell you what your sales should have been, look at what your sales were and tell you how much product you lost. Are your bartenders over pouring? Stealing? Now you will know! We need your help and feedback to continue to improve this product. 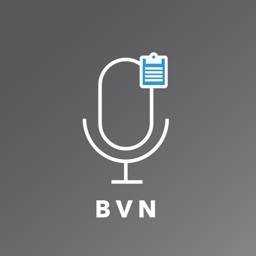 If you find issues or see improvements we can make, please email us directly and avoid leaving negative reviews. Thanks!